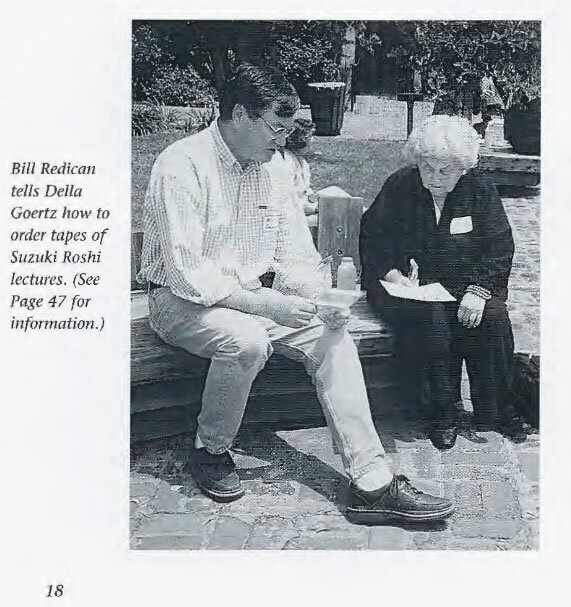 Bill Redican is responsible for creating the verbatim transcriptions of the Shunryu Suzuki lecture archive - and a great deal more - back at the beginning of the century. He had a little office at the SFZC City Center and, working with a host of volunteers, did a great job over a period of about two years. I was involved with working with Bill before during and after that project. Bill's collection of Shunryu Suzuki lecture quotes to go with the verbatim transcripts in a separate binder. 12-05-17 - Bill had a stroke in late November, 2017. As of last week he was in Kaiser Vallejo and I'd imagine he still is. Jamie Howell posted on Facebook that Bill would love visitors. Call Marcia Thomas at Zephyr 24th 415-695-7707 for more details. Jamie's in sesshin this week. Bill Redican is prominant on the cuke page for Suzuki-roshi Lecture Archving Project of the SFZC as he was the project manager. There are two papers he wrote there in 1998. A date at the bottom of the page is 2002 which notes he's part time then. I think his work on the project was within those dates. In the fundraising letter I wrote for the project also linked to from that page there's a description of how Bill's work evolved from several years of volunteering his time to oversee the project to get the original audio tapes backed up on high quality reel to reel masters at the studio of Mark Watts to quitting his job and working full time for a couple of years on the verbatim transcription project. Bill peppered his work with quotes from Suzuki lectures that struck him. "Zen is something to listen to. 'Listen to' means with empty mind.... The teaching will come ... through your skin." Here's a PDF of a poor copy of a page of Suzuki quotes Bill faxed me back when we did things like fax. Need to type this out. There are many papers and reports by Bill on the Suzuki archive on cuke and off and Bill also did a great many other tasks on the side, the results of much of which are on cuke.com. He created the original Chronology of Suzuki's life. He made a digital transcription of Crooked Cucumber and Zen Mind, Beginner's Mind. He worked on Not Always So, the sequel to ZMBM. As a result of all that work, Bill's is all over cuke.com and shunryusuzuki.com which makes it hard to search for it in key pages involving Bill to link to from this page because there are so many - like his name at the bottom of hundreds of lectures in the history of the transcription. There's a name for that. Maybe it's provenance. Yes, a word he taught me. I'll check with him to make sure. 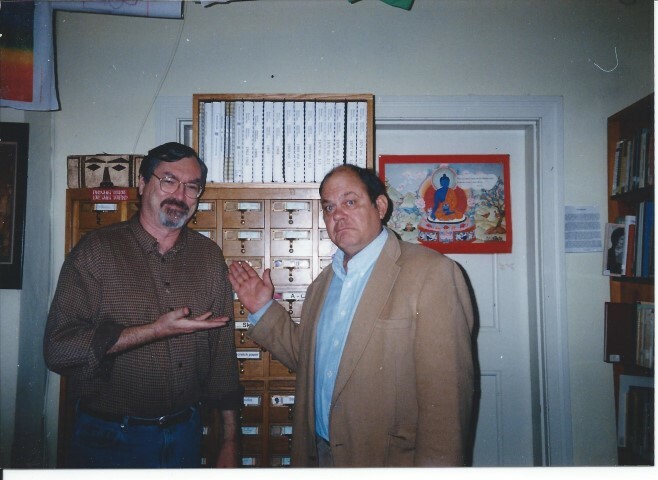 Bill Redican on the left with DC stand before the first bound edition of the almost complete verbatim transcripts of Shunryu Suzuki lectures in almost 20 volumes. 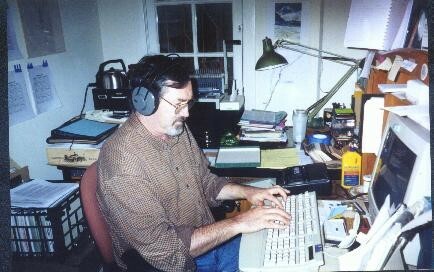 c.2002 in the SFZC City Center library. There was a set of these also for Green Gulch Farm and Tassajara Zen Mt. Center libraries as well as a a listening library with a complete set of cassette tapes of the recently remastered Suzuki lecture audio.